More Canadians are living in cities than ever before. But research shows that as these centres grow, social supports aren't keeping up, and all that crowding leads people to feel isolated. This week, with that ongoing rise in urbanization and isolation, Piya explores how people are creating community. Toronto retirees Doug and Mardi Tindal didn't want to live out the rest of their days alone in a condo. So, they're remodeling a house where they hope to live communally and grow old with as many as a dozen other people. Piya visits them to see their work-in-progress and hear how they're creating a space to foster support and companionship in old age. Summer Michaud-Skog says living in urban centres for 20 years made her pine for opportunities to experience the outdoors more. 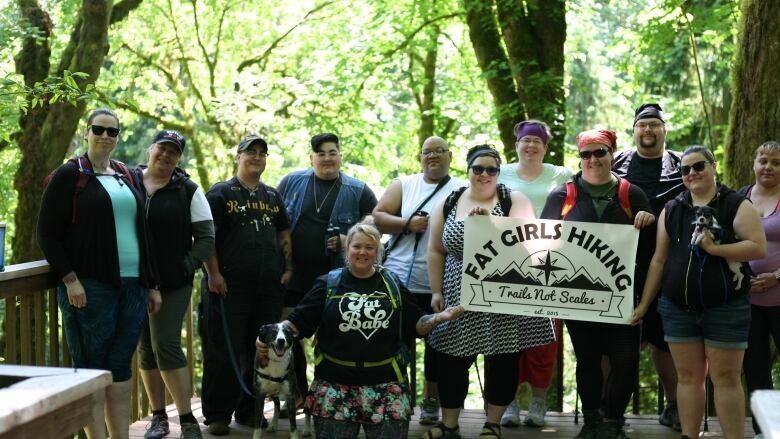 She wanted to start hiking, but as a self-described queer, fat woman she felt discouraged by media that tended to portray hikers as thin, white men. She tells Piya how that inspired her to created "Fat Girls Hiking" to carve out her own inclusive hiking community for people like her. Howard Lawrence thinks building a community needs to start with the simple act of saying hello to what are increasingly the strangers next door. He tells Piya about moving to Edmonton, feeling isolated from the people closest to him, and coming up with the concept of "block connectors" to promote neighbourly interaction and support. The local church used to be a go-to place for community in Canada, but modern attendance is lower than ever, especially among young people and those living in urban centres. That can leave young urbanites who are religious feeling lonely. We visit the C3 Church in Toronto, which caters to such Christians, to talk to attendees about the religious void they've felt among their peers, and what drew them to this more casual church, tailored to a younger crowd.